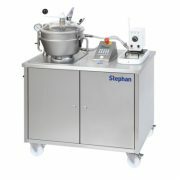 All those involved in food processing will be aware of the superiority of STEPHAN Universal Machines. 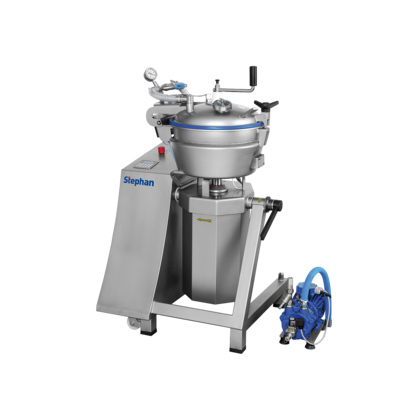 The machines uncompromising top-class performance exceeds the highest demands of customers who really know what the market has to offer. 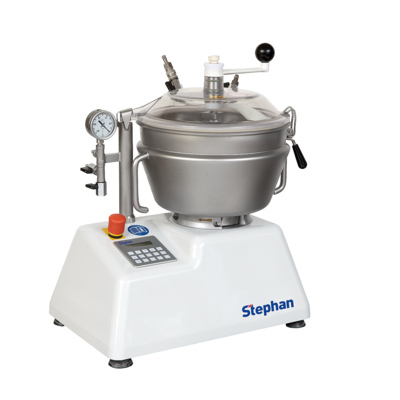 STEPHAN Universal Machines are characterized by exceptional versatility. 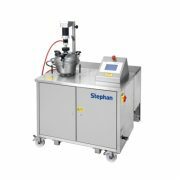 They are all-purpose, robust and long lasting, easy to clean and multiple working steps can be carried out in one machine. 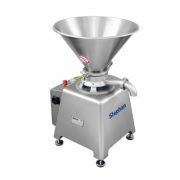 It is ideal for use in all fields of food processing, e.g. dairy, convenience food, confectionary, meat and sausages. 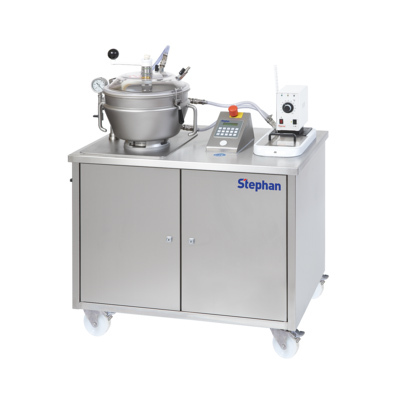 All processing steps are performed according to the proven STEPHAN principle: Each process is achieved in one machine (all-in-one), the power of the main motor is transferred directly to the knives – without gear! 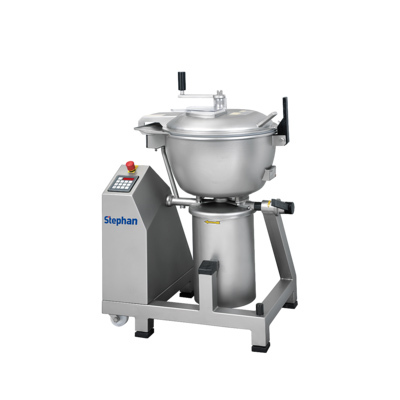 The rotating knives, reverse-acting scraper arm together with the interaction of the special bowl-geometry achieve optimum processing of the product in a shortest of time. 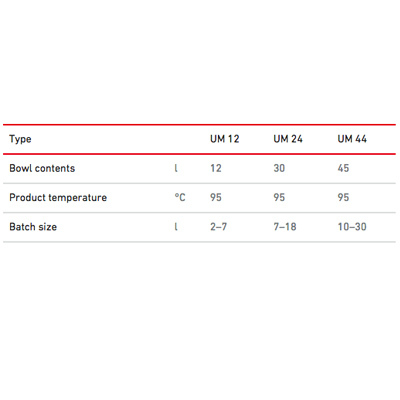 The discharge of the product is made by manually tilting the bowl through 90° (UM 24 and UM 44) and/or removing the bowl (UM12).